The World's Largest Rubber Duck makes a splash in Toronto's HTO Park for Canada's 150th Anniversary! Display your love for Toronto with this Canada 150 celebration giclee print! 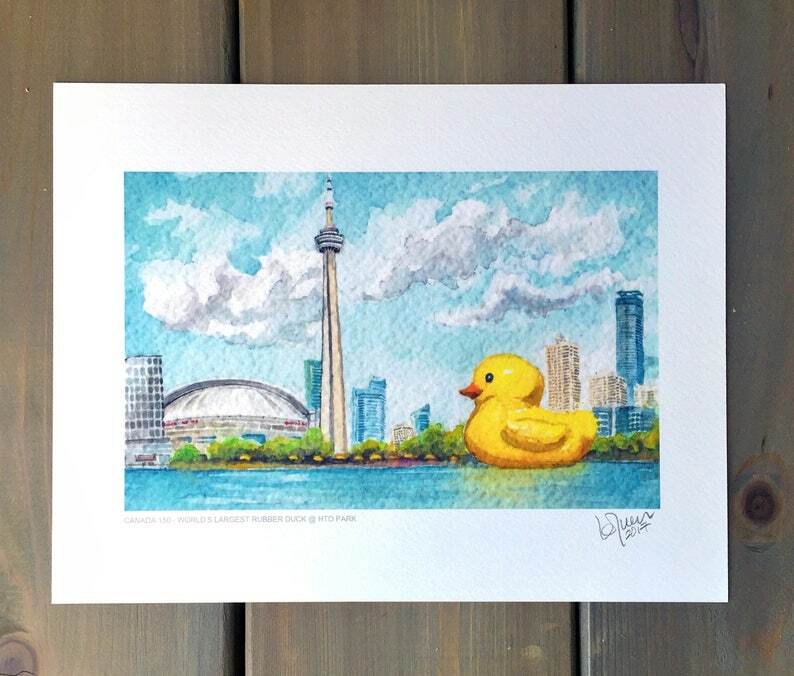 The perfect memento for anyone that has taken selfies and pictures with the 6 stories tall Rubber Ducky at HTO Park, Toronto. - Any frame with an 8" x 10" opening will work. Very fast shipping and the picture is everything I could have imagined! It looks beautiful on my wall!